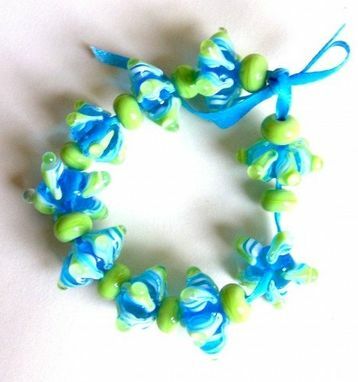 This set of 19 beads were made on a base of transparent teal with stacked dots of white and teal with a final pea green dot on top. Each dot was then carefully pulled over on each side to create the star effect. 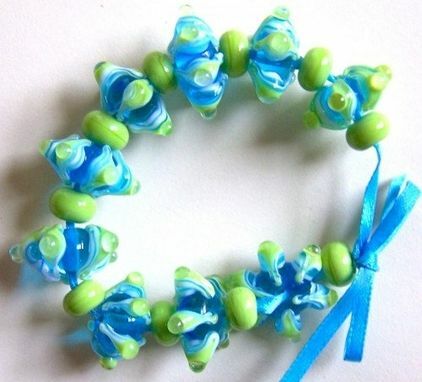 There are 9 star beads and 10 pea green spacers. ♥Bead sets are only temporarily strung to inspire your creative juices! Any spacers used are included in the sale.